The American String Quartet took joy and music to the hearts of young under-served students on a hot, autumn afternoon in San Antonio. 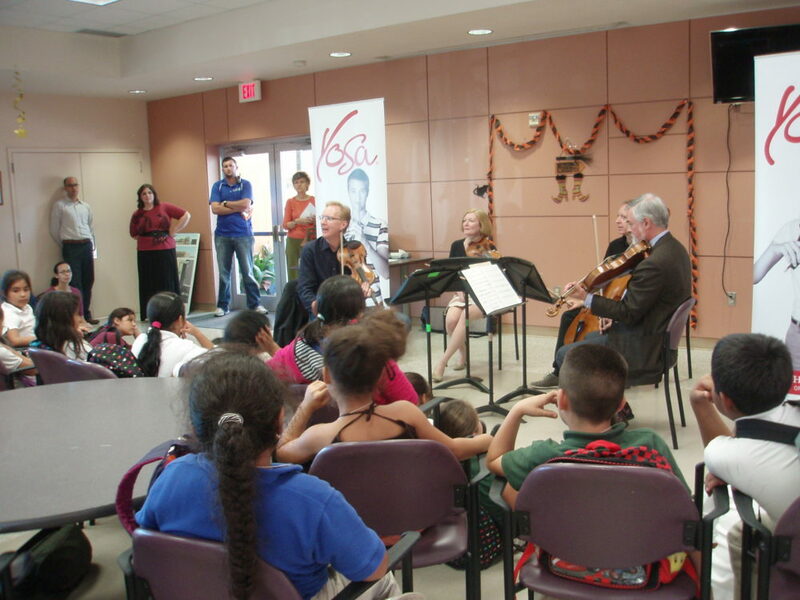 The Youth Orchestras of San Antonio has developed a free after-school program called Music Learning Center on the City’s West Side. It is modeled after El Sistema, a legendary music education program in Venezuela. The Center is located at Good Samaritan Community Services. Over 70 students participating in the YOSA program came to hear the ASQ. Quartet members talked about their instruments and played movements from the program that they played on the SACMS series opening concert. My favorite was a fugue by Bach arranged by violist Daniel Avshalomov. Cellist Wolfram Koessel explained that a fugue is similar to a round like Row, row, row your boat. After the concert violin and cello students unpacked their instruments and played for violinists Peter Winograd and Laurie Carney, and Wolfram Koessel. I observed the interaction with the cellists who sat in a circle and were taught how to hold the bow properly, how to play a scale, and how to make a full sound. Students also played the Dies Irae which is quoted in music for their upcoming Halloween Concert. They got valuable tips from on pros on how to play that theme effectively. 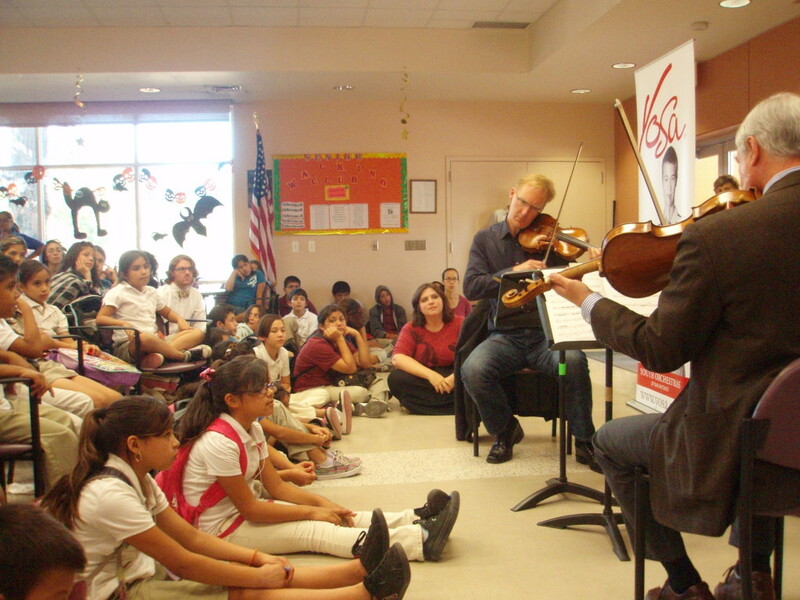 This event was the first we have given for the YOSA Music Learning Center. We applaud them on their endeavor and hope to interact with them more in the future.